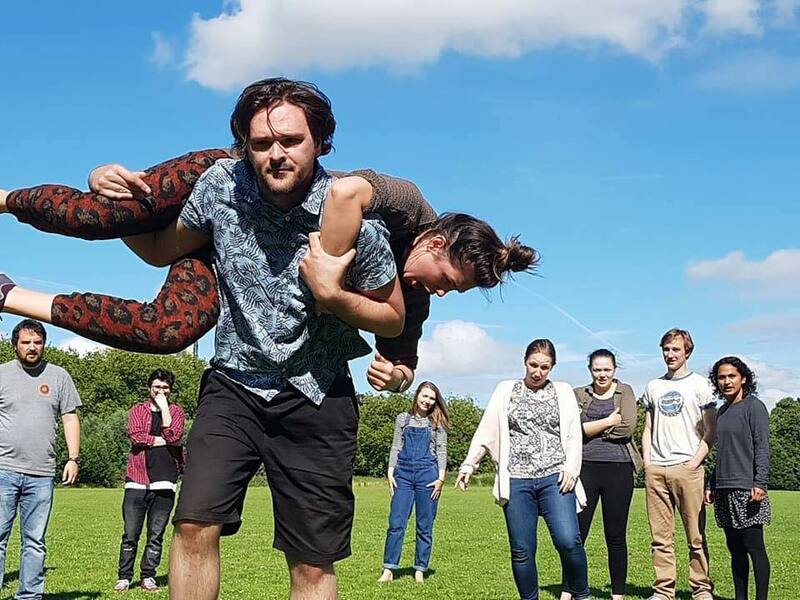 Rehearsals are running full speed for our upcoming summer show, The Taming of the Shrew, which opens in just over two weeks and will be performed at various beautiful locations in Liverpool. Time to get your tickets! 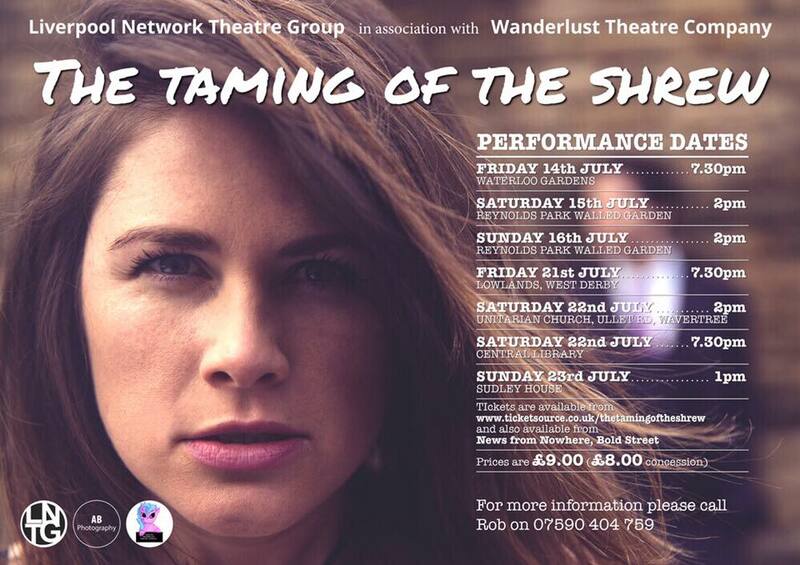 You can book online via https://www.ticketsource.co.uk/thetamingoftheshrew. Please check the poster above (or the ticket link) for full details about the Where and When. Below is a snap from a successful first outdoor rehearsal – we hope to see you at one of the shows, and if you come to one of the outdoor shows, why not bring a picnic (and a whole bunch of friends)!